Providing Alarm System Monitoring Since 1993. Only $10.95 per Month. New Accounts recieve 1 Year Free Monitoring! New Accounts receive "ONE YEAR FREE" Monitoring! "WE WANT YOUR BUSINESS" Only $10.95 Per Month! Established in 1993, SecurFree GulfCoast installs, maintains and monitors security systems throughout the Southeast. SecurFree GulfCoast's number one goal is to provide customers with a more personal service at the lowest price possible. SecurFree GulfCoast is owned and operated by a former president of one of Atlanta’s largest AT&T security systems dealers. We are a family-owned company and our customers often deal directly with our owner. Call us and you will talk to an actual person. SecurFree GulfCoast boasts a notable reputation with the Better Business Bureau in every area of operation, and 95% of all new business is generated through customer referrals. 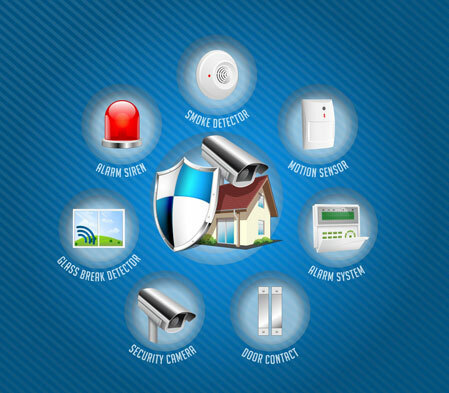 Improve the safety of your home or business with protection from SecurFree GulfCoast. From alarm monitoring to installing comprehensive security and fire systems in your home or office, we provide peace of mind. Contact us Securfree@gmail.com for more information on upgrading your security.